Video game publishers and developers are always on the lookout for mascots. Many have tried throughout video game history, but for every Mario, there's a Gex, Croc, Bubsy, or Sonic. It's easy to put down on paper what the ingredients of a successful mascot are, but in truth, it takes a sprinkling of magic. Bandai Namco hit gold last week with Ace Combat 7's dog. This good boy's star has shone so brightly, he might even challenge Lady Gaga for an Oscar. 2019 is shaping up to be the year of dog.jpg. 2019 had gotten off to a rocky start. While we all waited impatiently for Resident Evil 2 and Kingdom Hearts 3 to arrive at the end of January, we stared open-mouthed at the feud between Unity and Improbable, the two firms throwing statements back and forth while developers waved their arms about in panic as if taking part in a cruel game of Piggy in the Middle (apologies to US readers who called it something boring like, 'Keep Away') where losing meant immense stress and huge financial loss. Elsewhere we've seen Steam take more blows from the Epic Games Store as the Fortnite publisher attempts to muscle in on the PC digital store market, and Gearbox's Randy Pitchford found himself in the middle of an ugly legal dispute. That wasn't enough for the video game industry's furor facilitators pulling the puppet strings, with a final gasp reserved for Bungie and Activision ending their partnership, the former taking Destiny with it. It's hard to tally this with the fact that three weeks ago we were all finishing off leftover Christmas snacks and wondering how we'd cope with a 'quiet' January. In stepped Ace Combat 7's dog or dog.jpg as it's been named, drawing a line under the serious business with its perfect meme-worthy 2D body. That's right, the dev team used a flat image of a dog in a 3D rendered cutscene that featured fully modeled human characters. The internet loves dogs (no doubt Final Fantasy 13's low polygon dog has been on the phone to dog.jpg to offer its congratulations), and it loves to hate mistakes or sloppy workmanship in video games. Take a gander at the golden coat of dog.jpg in the YouTube video below. This inevitably saw dog.jpg become an internet meme superstar, even managing to cross over into other popular memes. This doggo (I hate that term and feel dirty using it, but I don't want to seem like I'm outside the youth bubble) is everywhere. I won't pretend to understand them all (although my younger colleagues have explained them), but these two tweets show just how far people are willing to go for a crudely inserted image of a Golden Retriever. The story doesn't end there, though. Oh, no. Or should I say, doesn't begin there? In fact, Ace Combat 7's dog.jpg has been causing a stir on the internet since 2017. Check out the video below for a conspiracy theory video even the most skeptical among you would find hard to rebuke. Dog.jpg has been right there in front of our eyes for a year and a half. How blind we've been to its purity and innocence. At least now we can look to dog.jpg for comfort as we bravely endure the best part of a week to get our hands on Resident Evil 2. In a month of turmoil I think I speak for everyone when I say, thank you, dog.jpg. Long may your flat image shimmer slightly in a heat haze. Just try not to focus on the fact that the dog died shortly after the photo was taken. Happy new week, everyone! Life Is Strange 2 - Episode 2: Rules [January 24, PS4, Xbox One, PC]: The journey continues for Daniel and Sean, as they begin to come to terms with a life on the run. Most notable for Life Is Strange 2 - Episode 2: Rules, is that it connects directly to last year’s LiS spin-off experience The Awesome Adventures of Captain Spirit. Awesome indeed! 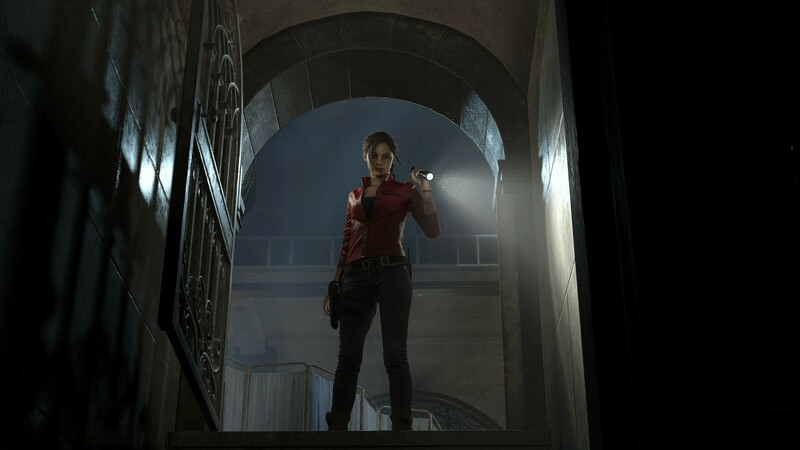 Resident Evil 2 [January 25, PS4, Xbox One, PC]: Hoo boy, the time has finally come and Capcom’s impressively gory Resi 2 remake is soon to be unleashed upon the masses. It looks to be a real winner too, with realistic (and disgusting) limb dismemberment, emo fringes galore, and of course, plenty of oddly shaped keys. In what must be the most frustrating news of last week, EA reportedly shut down EA Vancouver’s open-world Star Wars game. Not much was known about the project, only that it was a retooling of what was originally set to be a linear action adventure Star Wars game from Visceral Games. Pour out some blue milk for a fallen comrade. NetherRealm pulled back the curtain on the latest installment in the Mortal Kombat series, showing off new fatalities, returning characters, and more. There was also a detailed breakdown of ‘Goddess of Time’, Mortal Kombat 11’s story mode. Media giant Netflix revealed that Fortnite is its primary competitor for consumer screen time. 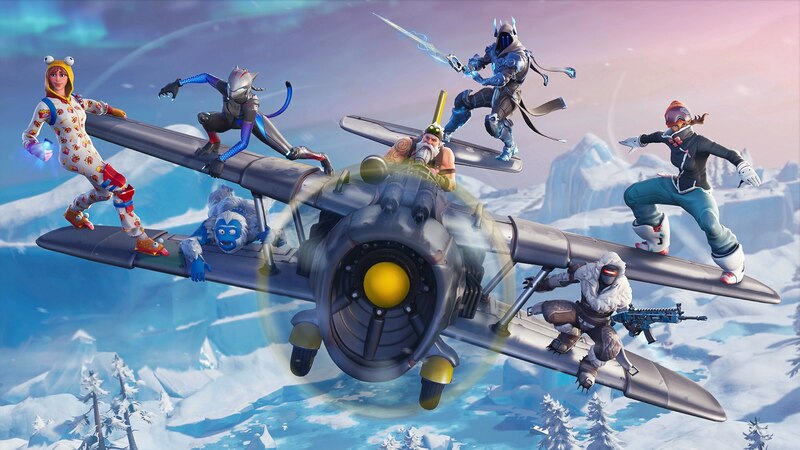 In a shareholders meeting last week, Netflix singled out Fortnite, stating that ‘We compete with (and lose to) Fortnite more than HBO’. In some rather shocking news, our pals at Digital Foundry concluded that Ace Combat 7 actually looks best on the PlayStation 4 Pro, edging out the Xbox One X in terms of framerate. According to Digital Foundry, this is likely due to the added PS VR mode for Ace Combat 7, which requires a locked frame rate. Surprise Power Rangers fans! There’s a new game on the way. It’s called Battle for the Grid, and is a fighting game of sorts, styled after the 2017 mobile game, Power Rangers: Legacy Wars. The Director of Assassin’s Creed Odyssey has apologized for the plot of the new DLC, which forced players into a heterosexual romance option. Given that much of the pre-release marketing for Assassin’s Creed Odyssey focused on the fact that players could carve out their own romantic identity, this plot-point seemed out of place. Director Jonathan Dumont admitted that his team had ‘missed the mark’. A new report from The Washington Post revealed that Amazon is looking to leverage its considerable cloud business to stream ‘robust’ games, even on mobile devices. This would bypass the need for Amazon to make any new hardware as the games would be hosted on Amazon's cloud network. According to the report, Amazon is looking to launch the service next year. The Division 2 Private Beta dates were announced on Wednesday, and they’re sooner than you might think. 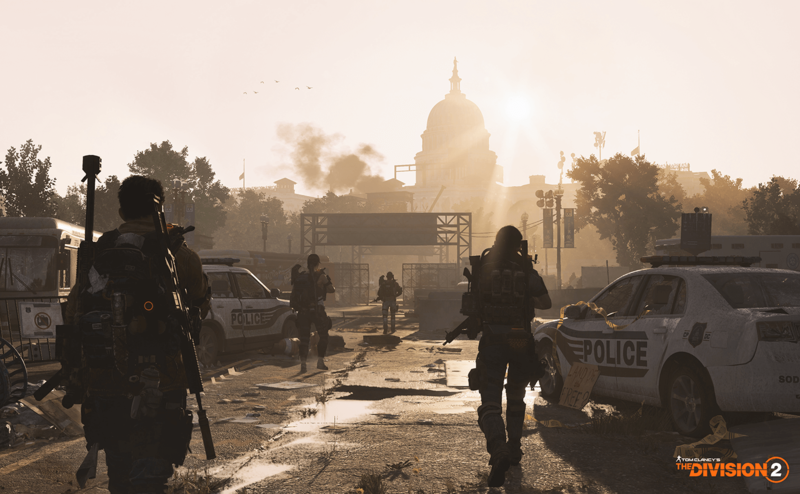 Players who pre-order The Division 2 will be able to secure a spot on the Private Beta, which will run February 7 until February 10. Sony found a new director for the planned live-action film adaptation of the Uncharted series and it's 10 Cloverfield Lane's Dan Trachtenberg. The film is still slated to star Tom Holland (Spider-Man: Homecoming) as a young Nathan Drake. Here’s hoping for a Nathan Fillion cameo. Some very sneaky dataminers uncovered SNES game data hidden within the code for the NES Online app for Nintendo Switch. Super Mario Kart, Legend of Zelda: Link to the Past, Star Fox and Contra were among the games outed, giving hope to those wanting a bit more from Nintendo Switch’s retro offering. Axe of the Blood God: On this week's Axe of the Blood God, Kat, Nadia, and Caty examine the legacy of Kingdom Hearts and how it marks a turning point for both Square Enix and Disney. Subscribe here for the full podcast! Tagged with Opinions,	PC,	PlayStation 4,	Starting Screen,	Xbox One.